Did you know that the sun can see through your skin to the cells beneath the surface? In fact, each time it sees your cells when the UV is 3 or above, it’s doing damage that can just keep building up and up, until one day it causes a mutation in your DNA which can turn to skin cancer. 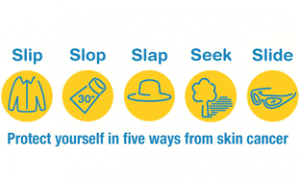 While a lot of Australians know about the link between high UV radiation and skin cancer, many of us are unaware of the cumulative effect of UV, and therefore don’t feel the need to think about sun protection during many of the day-to-day activities we take for granted. Adults are still getting dangerous doses of UV during passive activities such as gardening, walking to the shops or simply doing chores around the house. The problem is that these aren’t planned periods of UV exposure, so we often forget the sun protection. To defend yourself properly, make sunscreen a part of your morning routine each day, switch your cap for a hat with a good brim, wear long sleeves and sunglasses whenever you can, and always stay in shade when it’s there. It’s simple, just don’t let the sun see your DNA. Listen to the radio commercials below, or watch the TV commercial above. 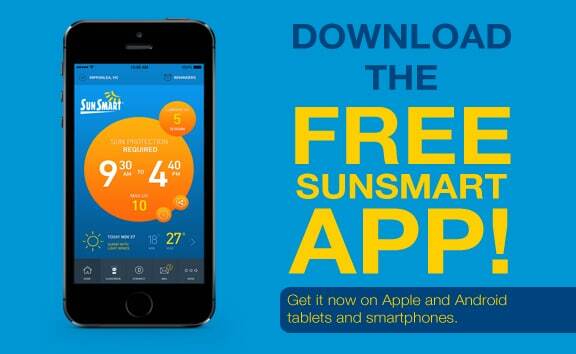 Know when to protect yourself – download the SunSmart app today.